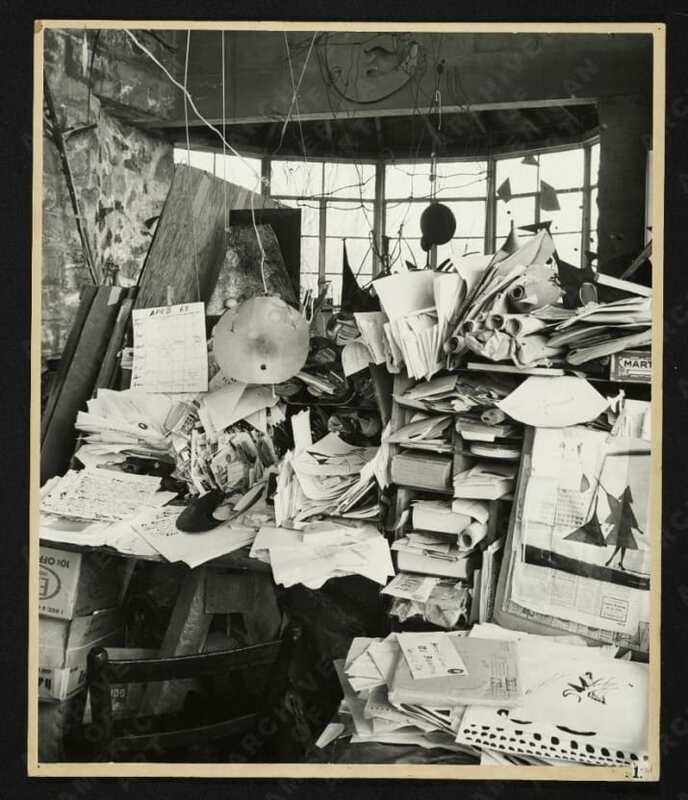 Alexander Calder’s Workspace. Image via Buzzfeed. A close friend sent me this image and article on creative workspaces of the famous. I like how the boxes underneath the table appear to be holding it up! 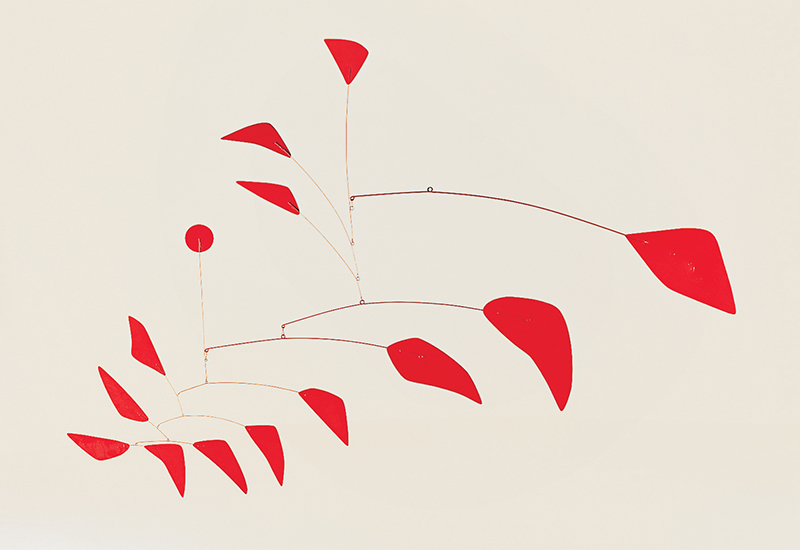 What I find so fascinating though is that Calder’s structures exemplify this beautifully balanced minimalism and yet his space appears to be the antithesis of his art. Big Red. Artist: Alexander Calder.